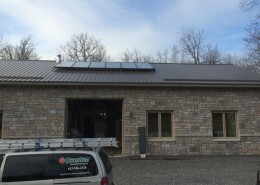 Off-Grid Home 3 – Quantum Renewable Energy Inc. 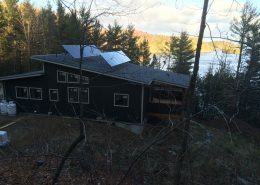 The customer wanted a “dream cottage” free from any ties to the grid. Running hydro out to the building site was excessively expensive. 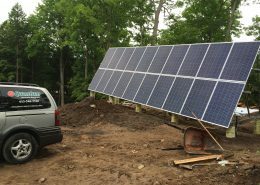 The solar system provides sustainable energy independence. 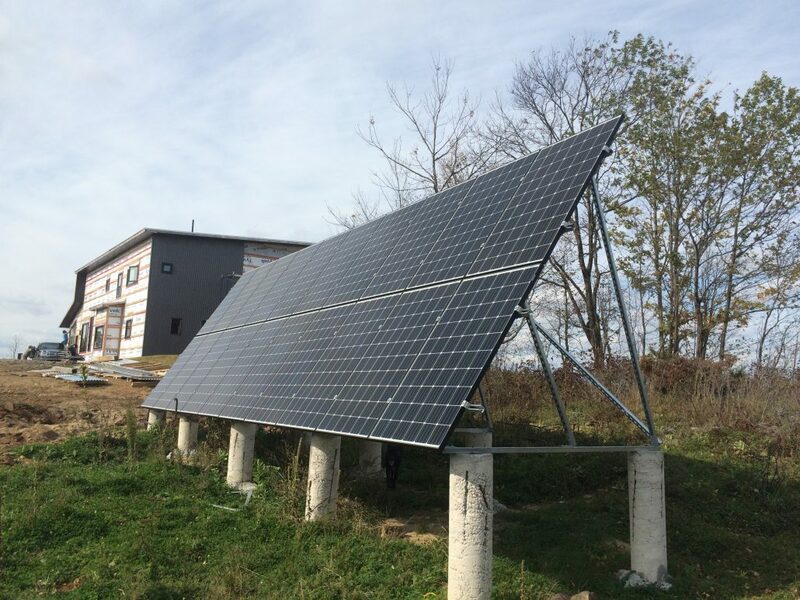 Power is supplied by 20 Canadian Solar 280W modules on a 60 degree ground rack. Energy is stored in 16 Surrette Rolls 6V batteries. 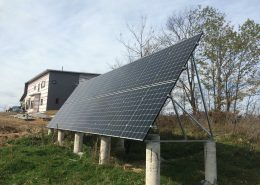 A Magnum charge controller regulates the solar charging, and power distribution in the home is supplied through a Magnum PAE 4448 inverter which delivers pure sine wave 240V power.